Most of us take the fact that we can see for granted. We can read, drive, walk and run around and perform many things we do on a daily basis only because we can see. Eyesight and our eyes are incredibly complex things that need to be well looked after through eating the right foods, visiting the optometrist regularly and ensuring we take care not to physical damage our eyes. Sometimes, however, certain things that we might need surgery for like cataracts are unavoidable. Or, if you just want to make your life a little bit easier and get laser eye surgery so you can leave the glasses or contact lenses at home, there are a few things you should know about recovering after eye surgery. Let's have a look at some of the complications and things you can expect while recovering after eye surgery. 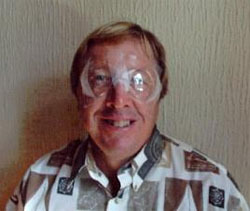 The most common normal side effects experienced by patients that have undergone eye surgery, especially the bigger operations like cataract surgery are dizziness, blurred vision, halo effects around most light sources, especially the brighter ones, sensitivity to sun and daylight, headaches, disorientation and pain localised to the operation site. As with all operations there is also a low risk of infection that you should keep an eye out for any signs of. Recovering after eye surgery is generally fairly pain free and complications are very rare. Your eye surgeon will schedule a follow up appointment with you so he can check that your eyes are healing the way he expects them to. When you leave the hospital or eye clinic, you should have someone arranged to fetch you as driving straight after any eye surgery is not recommended. It is important not to touch or rub your eyes for a few weeks after your operation and as such an eye patch might be a worthy investment. Sometimes your eye surgeon might even give you eye guards to wear at night to stop you from scratching or rubbing your eyes while you sleep. Medication while recovering after eye surgery is minimal. Your eye surgeon will prescribe some antibiotics and eye drops that you need to use as he instructs you to. Remember you must complete the antibiotic course in full. If you have any pain or discomfort, you can use over the counter pain medication from the chemist to minimise any suffering you have while recovering after eye surgery. After eye surgery, you need to do as much as you can to stop yourself from prolonging any discomfort you may experience. Don’t scratch or rub your eyes no matter how painful they are and use paracetemol or aspirin for the pain. If you need to, consult your eye surgeon for any questions you might have while recovering after eye surgery – regardless of how small you think the problem is.